Taking a state approved real estate course is just part of the requirements to getting your real estate license in New Mexico. 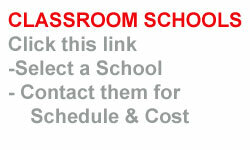 New Mexico offers Classroom Courses. No Online Courses are available.